Our biggest space yet! Matthew Moss High wanted a school hall that could be an incredible performance space and an immersive learning environment yet still be used for more traditional activities like exams. Our design team did not let them down! 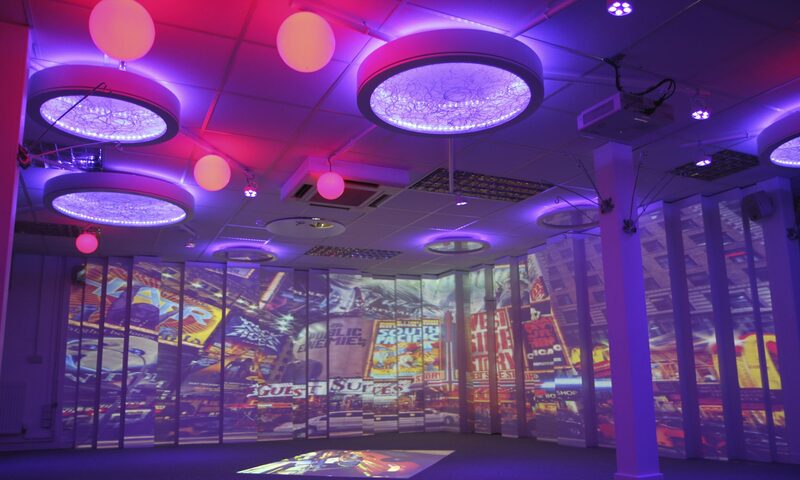 The space has two projection areas and an interactive floor meaning performances can take place all across the hall, as can immersive lessons. We also installed professional lighting and a brand new gantry so the school can host incredible performances. The space is completed with some flexible staging which can be packed away when needed. The school’s first production in the finished 4D Space is Singing In The Rain and we already have our tickets!